Netflix has defended a tweet that revealed 53 people had watched its new Christmas film every day for 18 days in a row. "Who hurt you?" read the tweet, addressed to them. The tweet caused controversy, with some saying it was "creepy" of the platform to keep such close tabs on its audience, and mock their choices. However, others found it entertaining - and unsurprising that Netflix should know what its customers were viewing. 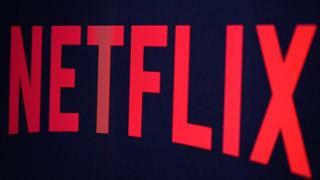 In a statement, Netflix said the privacy of its members was important. "This information represents overall viewing trends, not the personal viewing information of specific, identified individuals," said a representative. Netflix has been studying its user data closely for some time but doesn't often share it. When the platform first decided to start producing its own material, it mined its user data to see what the most popular content was among its existing customers. At that time it discovered that the most searched-for and viewed material included that which featured (now disgraced) actor Kevin Spacey, the director David Fincher and BBC political dramas - and that led to the re-make of the 1990 BBC political thriller House of Cards, involving the pair. "Netflix, like any company these days, keeps a sharp eye on what its users like so that it can offer them more of what they like," said technology commentator Kate Bevan. "What's a bit creepy, however, is extracting data points with no context and offering up data that should be anonymised in a way that could identify individuals." Dr Bernie Hogan, a senior research fellow at the Oxford Internet Institute, accused Netflix of "humblebragging" by suggesting its Christmas movie was so compelling it was worth watching every day. "It is in poor taste," he added. "Some people have little children who love the comforting repetition of seeing the same movie every day. "To wryly say 'who hurt you' as they did in the tweet shows not only that they are interested in making moral judgments for the sake of a laugh but also that they probably do not have much contact with young children. It sounds like a cheeky social media account operator who was too clever for their own good." Music streaming service Spotify has been using data like this in its advertising since 2016. Billboards featuring straplines such as "Be as loving as the person who put 48 Ed Sheeran songs on their 'I love gingers' playlist," form part of its winter season campaign, reports Adweek. Calculated risks: Will algorithms make business boring?